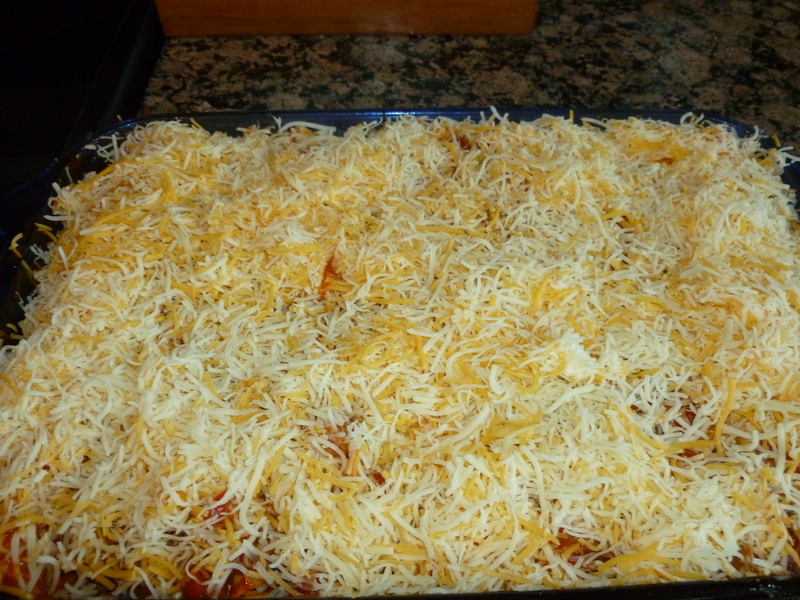 This is a very popular Pinterest recipe and there are a lot of variations. 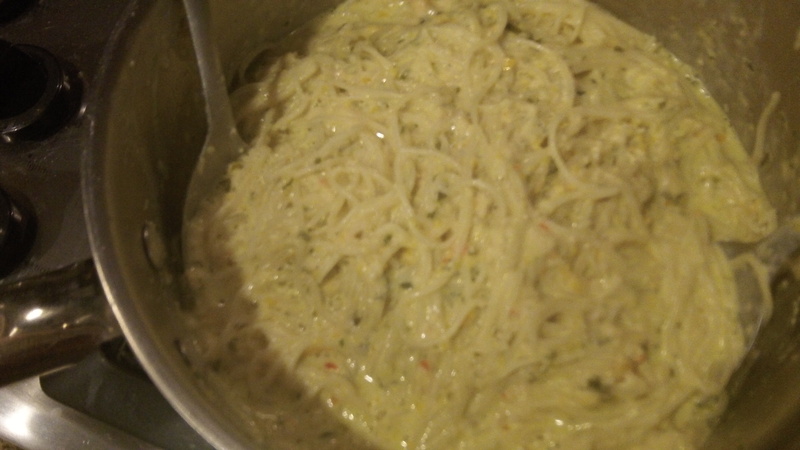 The recipe comes from Slender Kitchen and I think it is really delicious. I modified it a bit and I “Jazzed it Up” with some great tasting sour cream. Enjoy! Heat a saute pan over medium heat and spray with cooking spray. 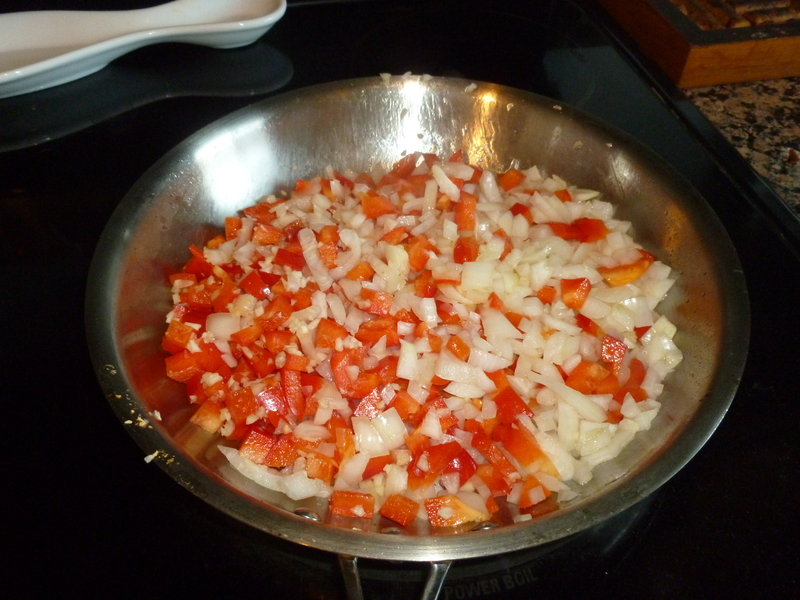 Add the onion, red pepper, and garlic and cook for 5-7 minutes until the onion softens. Get out your baking dish and spray with cooking spray. Add enough sauce to just cover the bottom of the dish. 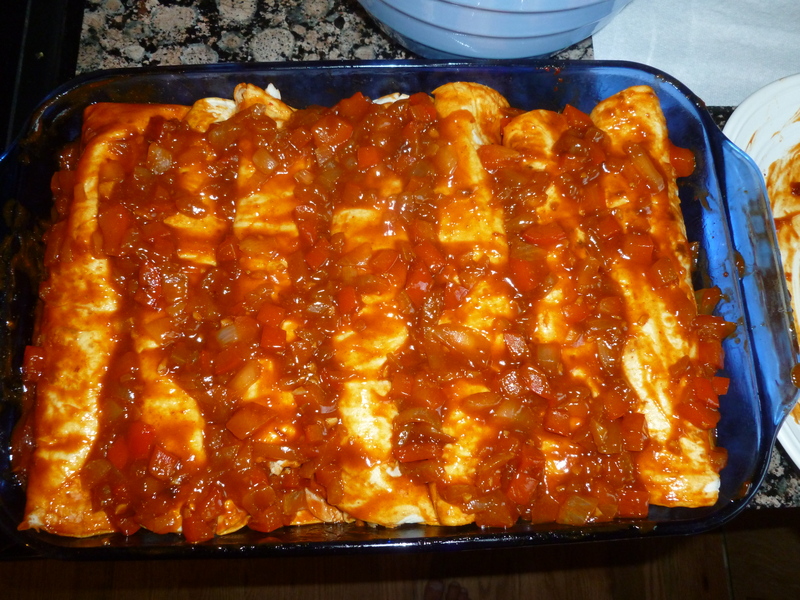 Then begin assembling your enchiladas. 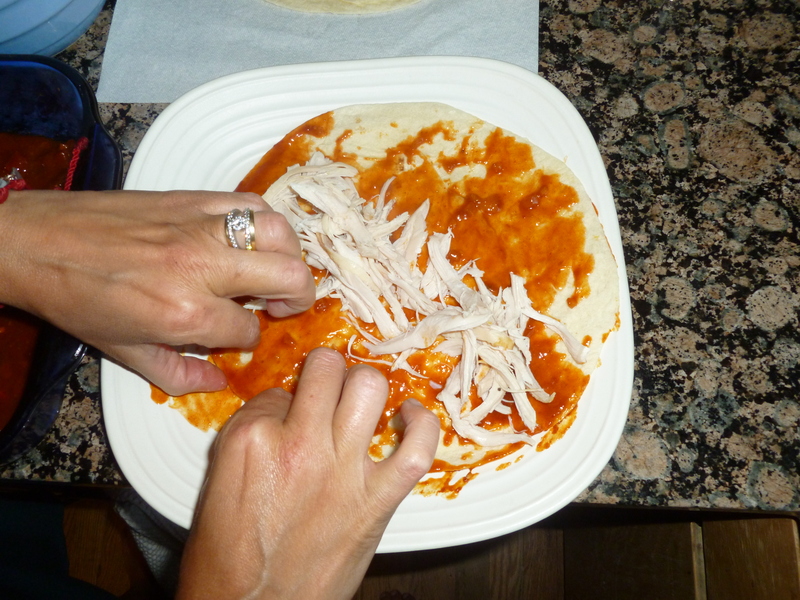 Either microwave the tortillas beforehand for about 30 seconds so they are pliable before rolling them, or for more authentic enchiladas carefully dip each tortilla in the sauce before adding the chicken and rolling them up. 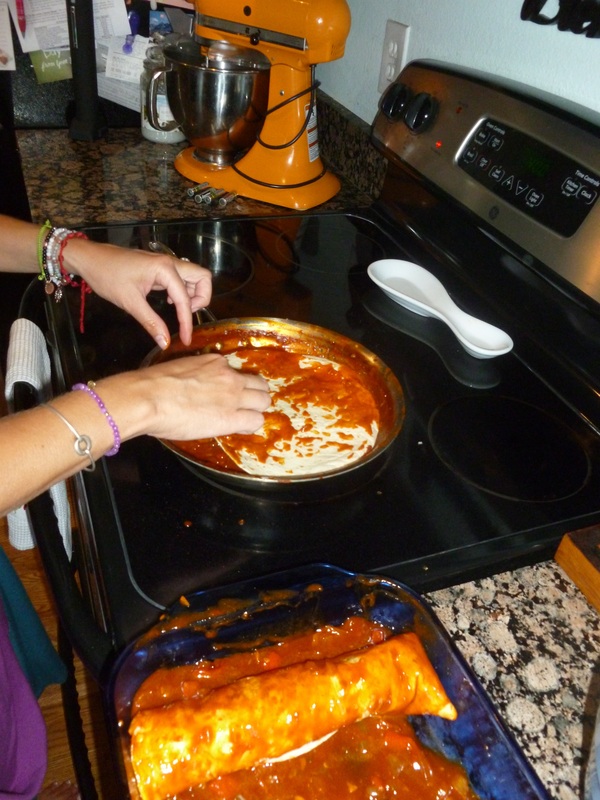 Cover the enchiladas with the additional sauce, leaving some extra for serving alongside the enchiladas. 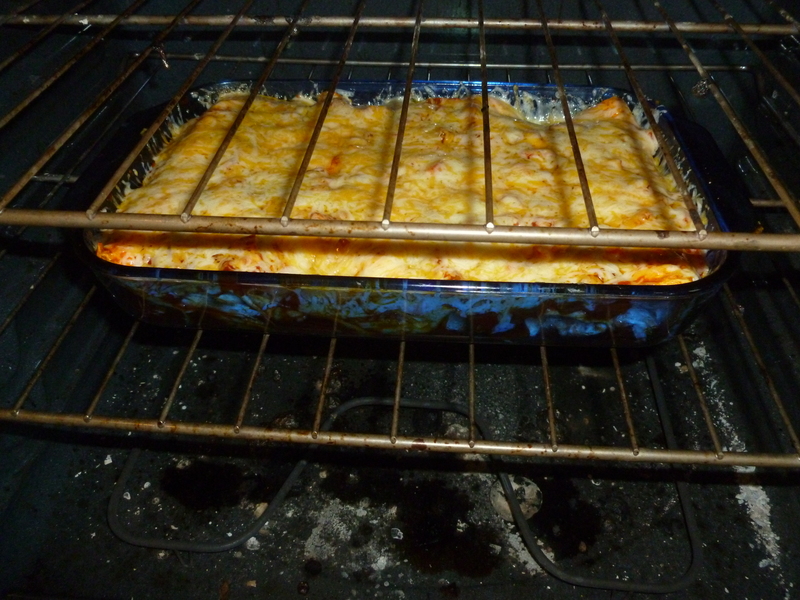 Bake for 15-20 minutes until the cheese is bubbling and toasty. 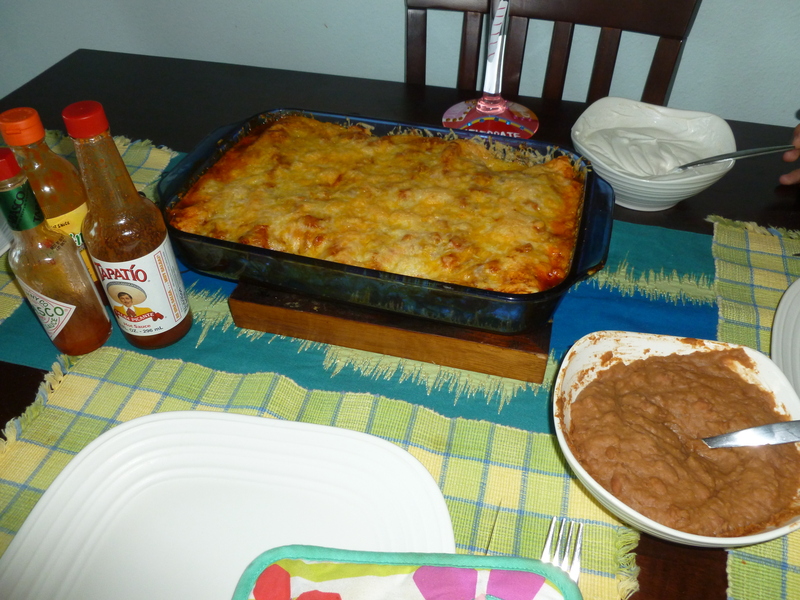 I served the enchiladas with an awesome sour cream that I made. 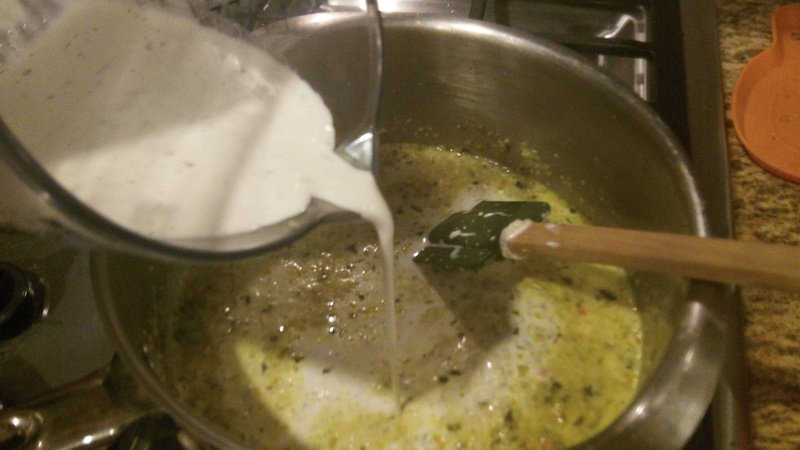 I use one cup of sour cream, one cup of mayo and 2 tablespoons of cumin. 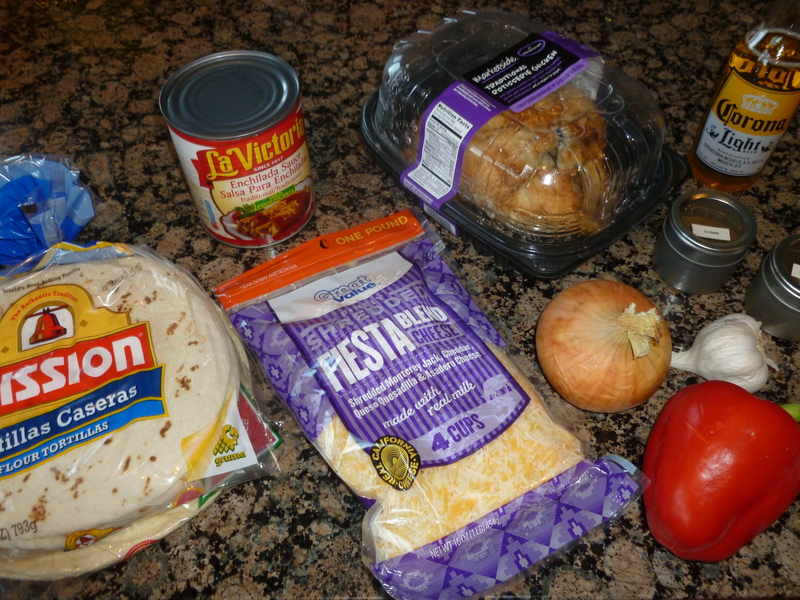 Mix it all together and you get a creamy zesty topping for any Mexican food meal. 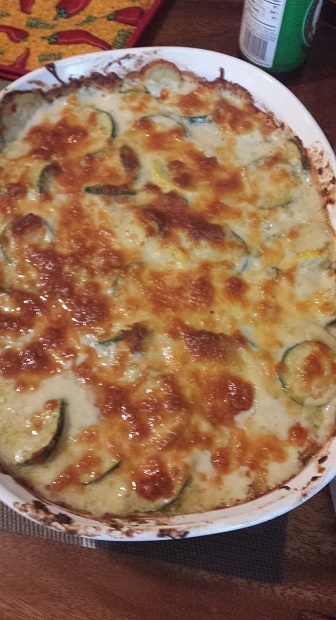 Give this one a try, it turned out deliciously! 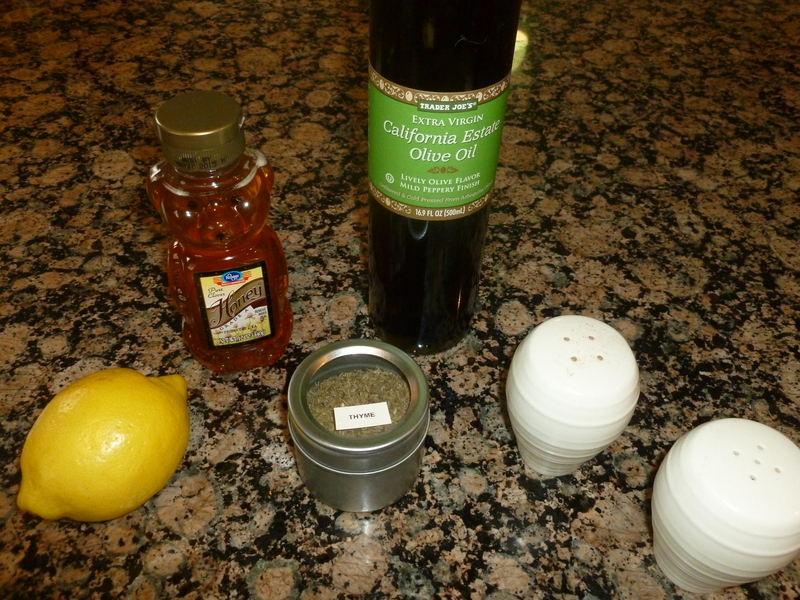 In a pot, bring the olive oil to medium-low heat. 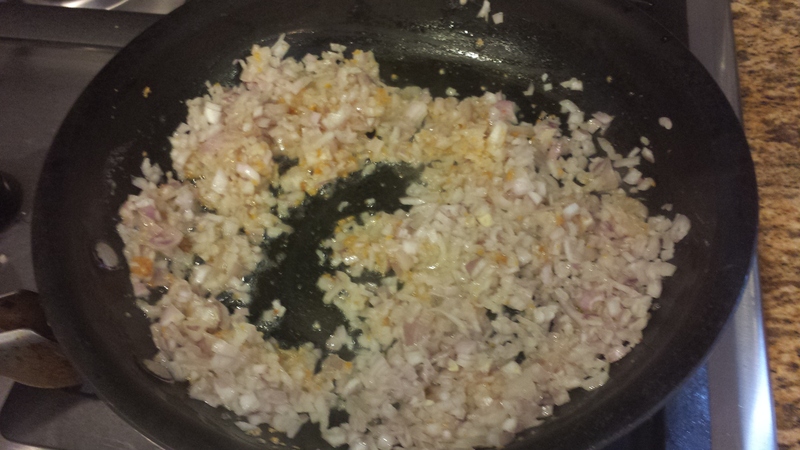 Add the garlic and stir, allowing it to cook for 1-2 minutes. 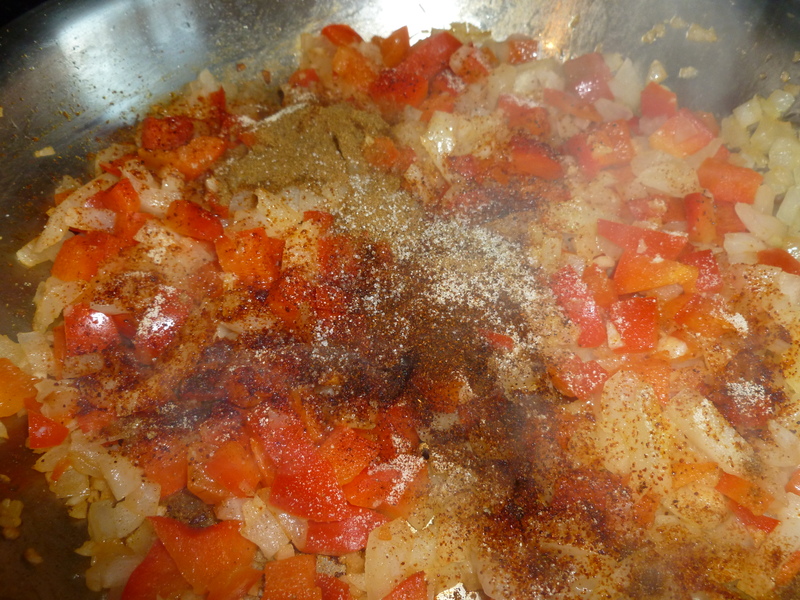 Add the pepper and chives mix and cook for about 3 more minutes. Add the salt, pepper and chicken stock. Raise the heat to high and let it come to a boil. 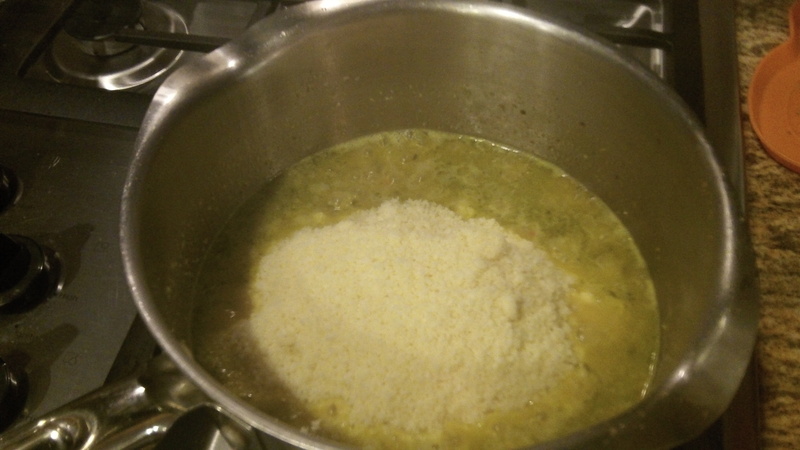 Reduce the stove to medium heat and mix in the Parmesan until completely melted. Turn off the heat and stir in the cream slowly. Now you can toss in your pasta until it is fully coated in your sauce. We paired this pasta with some pork chops we made on the grill that were so delicious. 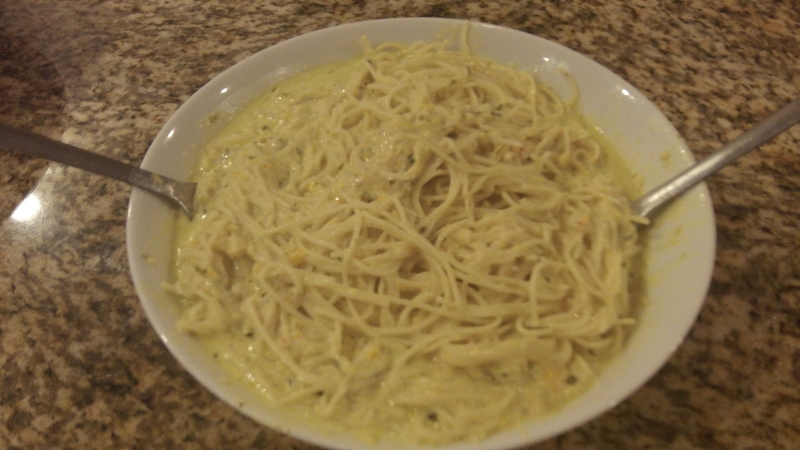 (I will post that recipe soon-don’t you worry) I was inspired to try making this pasta from a recipe I saw online but changed it around to work with things I had in the pantry as well as amp up the flavors! 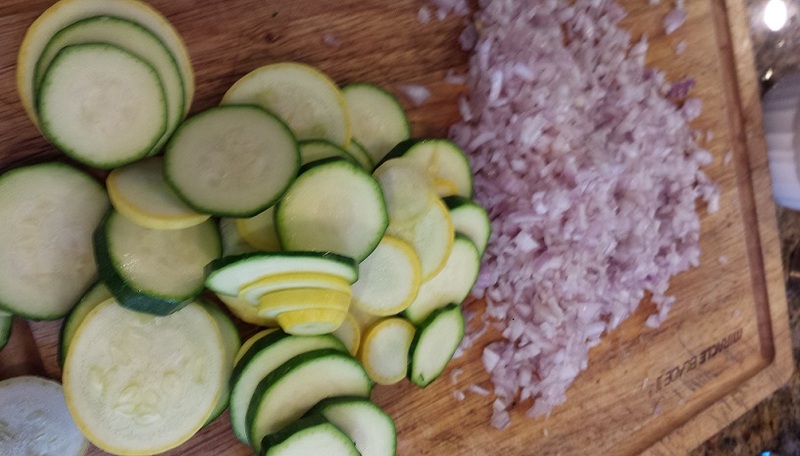 This recipe turned out to be just as delicious, Jake did not have one complaint! In a large skillet or pot (I had to switch to a pot- which you can see in the pictures- because I had a lot of things I was working with) saute your shallots and garlic in your butter. 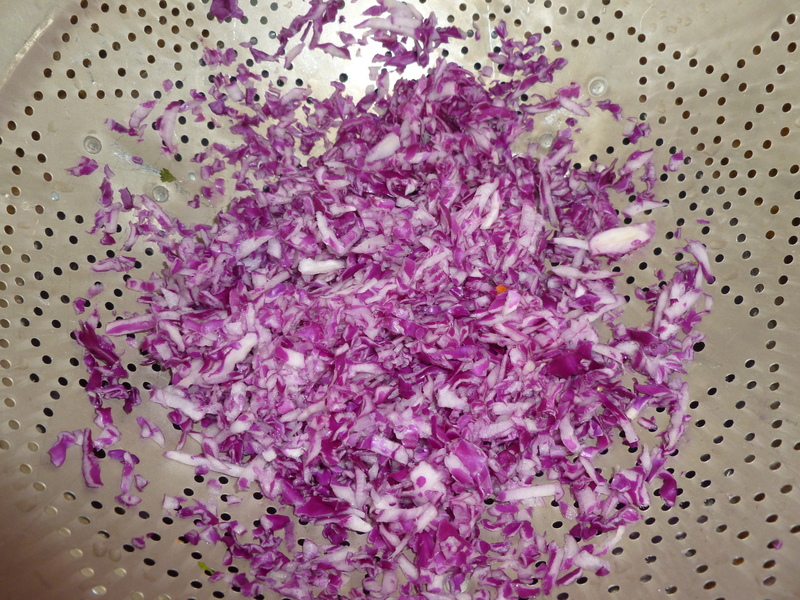 Cook until shallots are translucent. 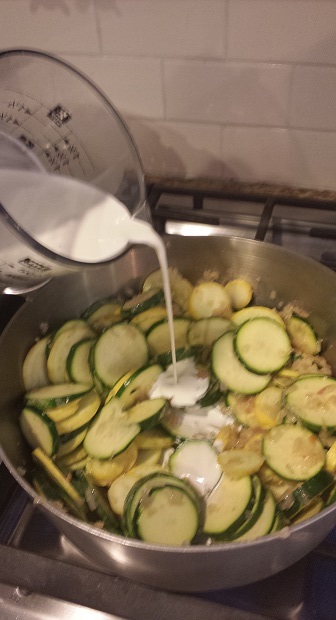 Add your zucchini, squash and heavy cream. 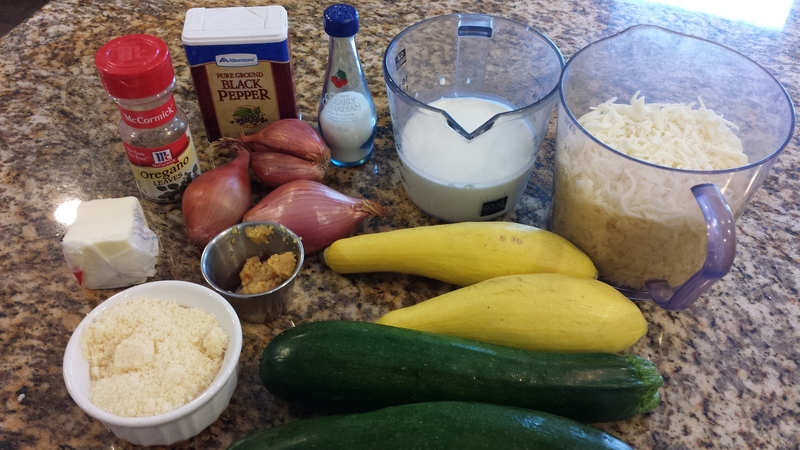 Add your salt, pepper, and Parmesan cheese. 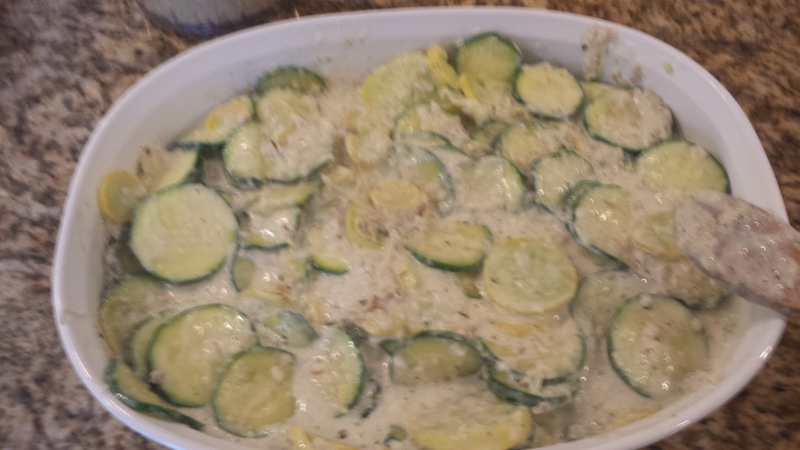 Cook 7 to 10 minutes or until your mixture is bubbly and your zucchini and squash begin to soften. 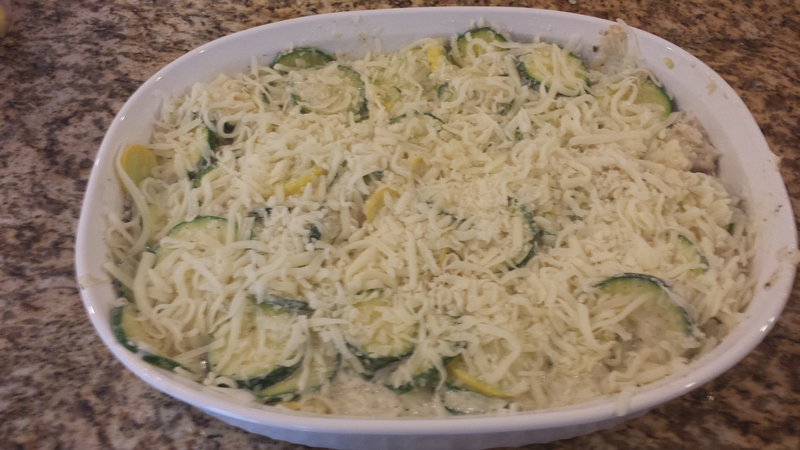 Transfer to an oven safe baking dish and sprinkle with a little more Parmesan and some of your shredded cheese. Now sprinkle the rest of your shredded cheese on top. 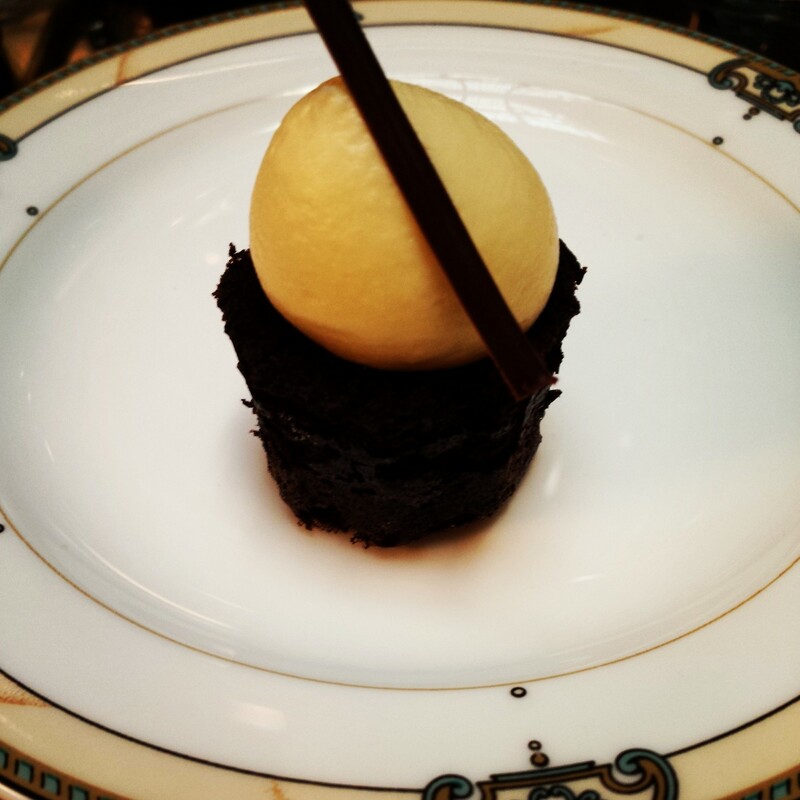 Bake for 10 to 12 minutes or until mixture is bubbly and golden brown on top. I thought I would have to broil this baby up- but I turned off my oven and let it sit in there for another 3 minutes or so and that magic happened all on its own! 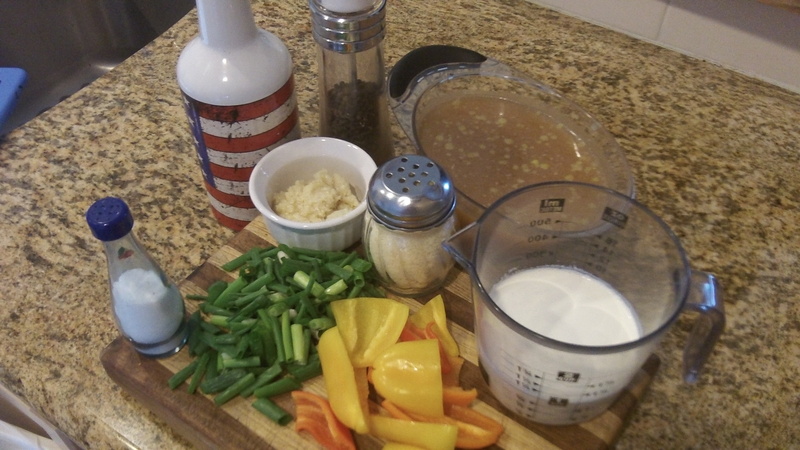 As I was making dinner Trevor says to me…”This is like a Semi-Homemade Meal!” Sandra Lee would be so proud of him. Yes, this was a dinner that was put together with as little effort as possible. 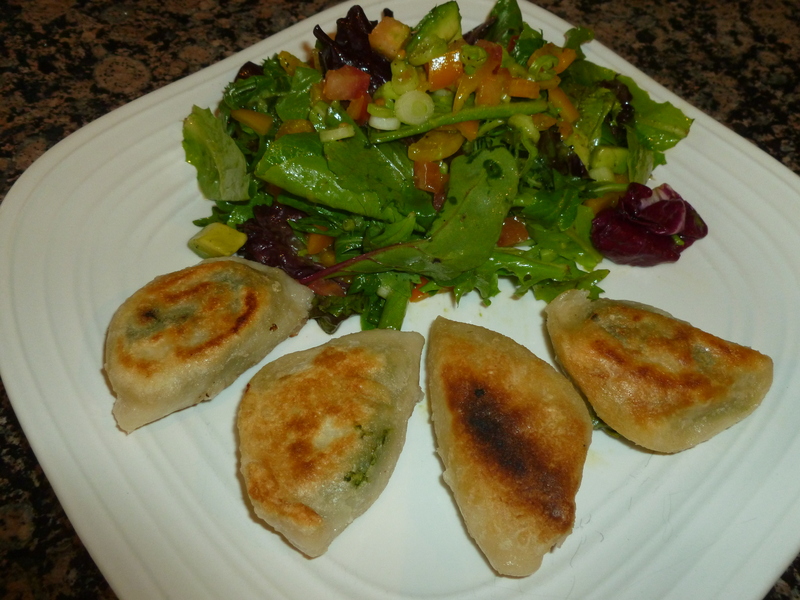 I had frozen perogies from a Farmers Market and salad. 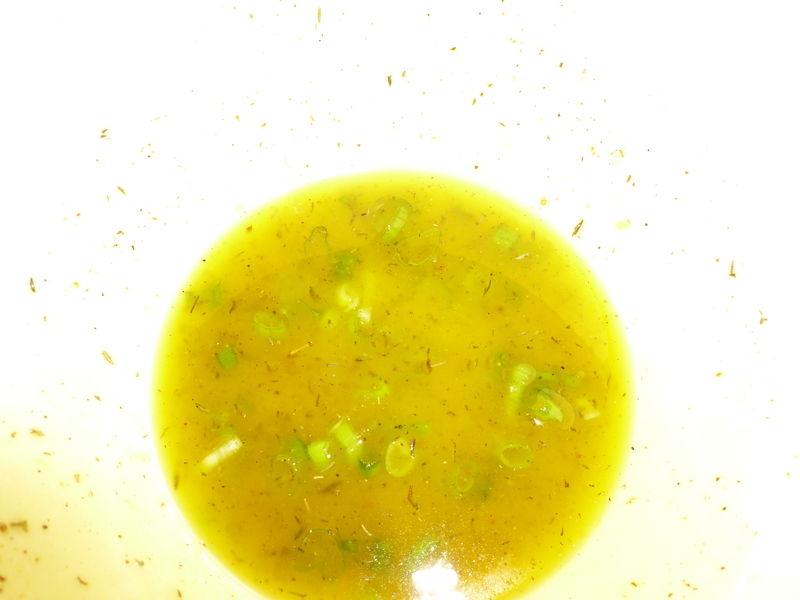 So, I made this dressing…and it turned out great. 1. 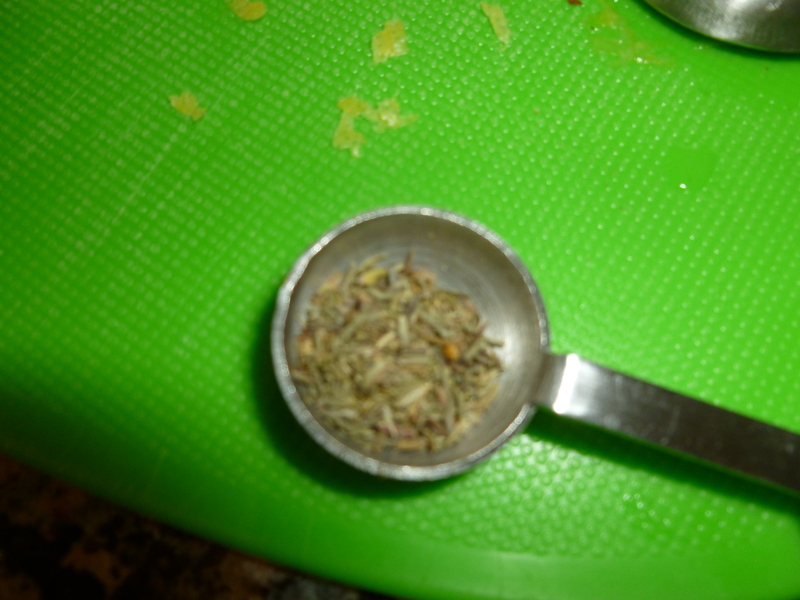 In a small bowl, whisk the lemon juice with the lemon zest, honey, and thyme. 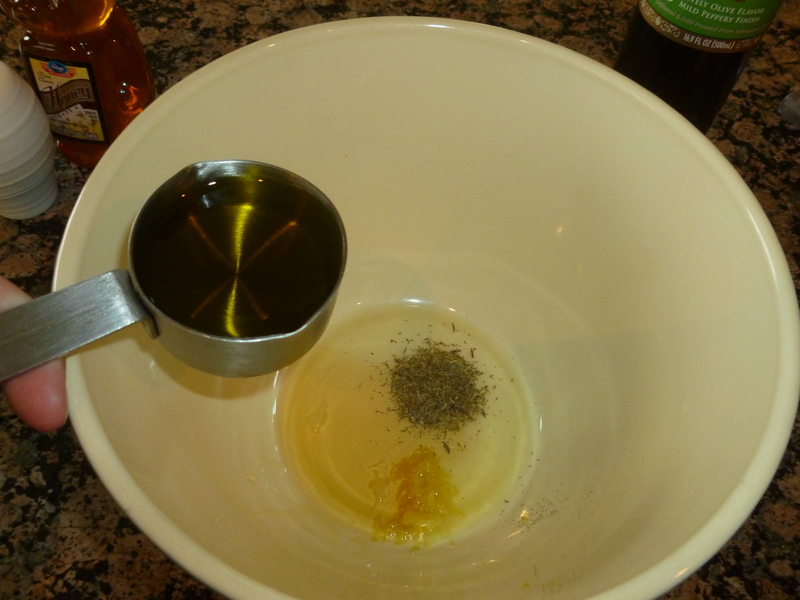 Whisk in the olive oil and season with salt and pepper. 2. 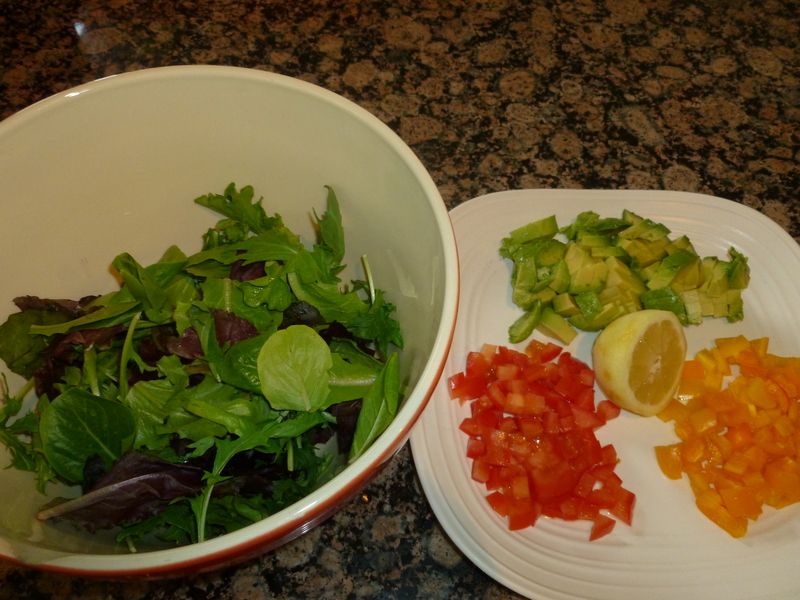 After whisking together the ingredients I chopped up an avocado, peppers, and a tomato for the salad. 3. 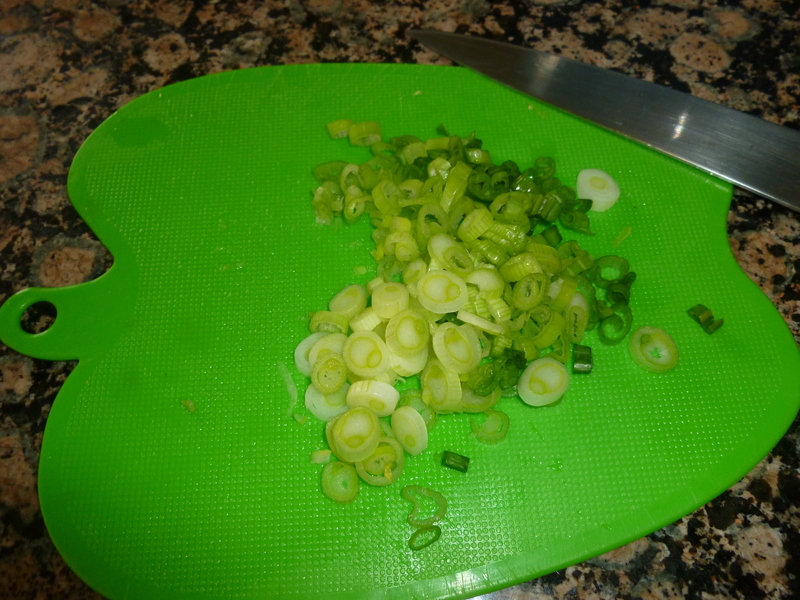 I decided to “Jazz it Up” by adding chopped scallions to the dressing in order to give it a slightly different feel. Then I cooked my perogies and plated it up! This was a great light summer dinner. Sometimes in life you just have to take a drink with your pinky out and really soak in the moment. 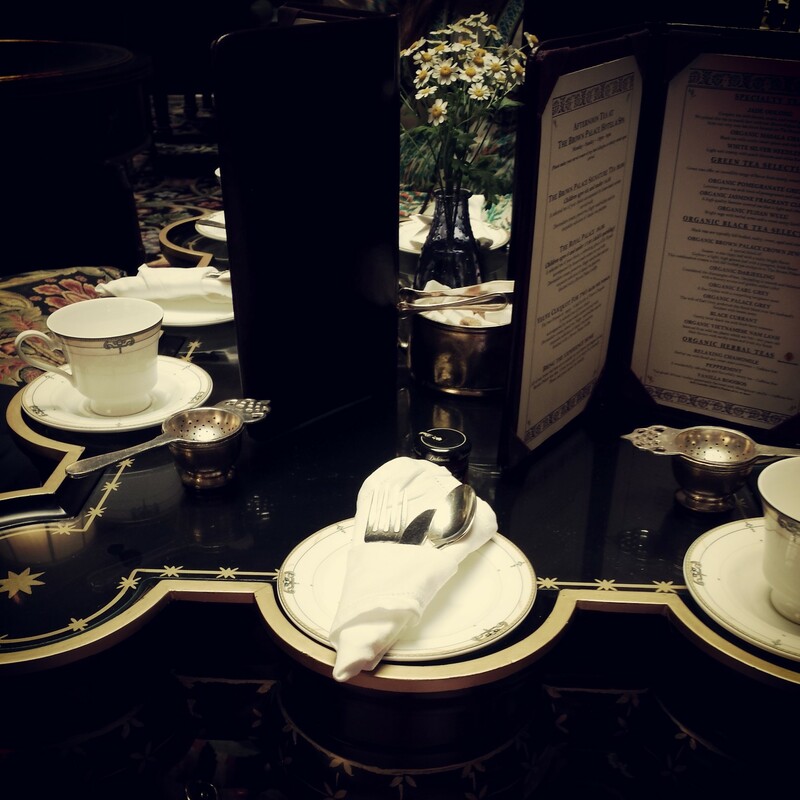 At high tea that is just what I did with my sister and my mom for her birthday. 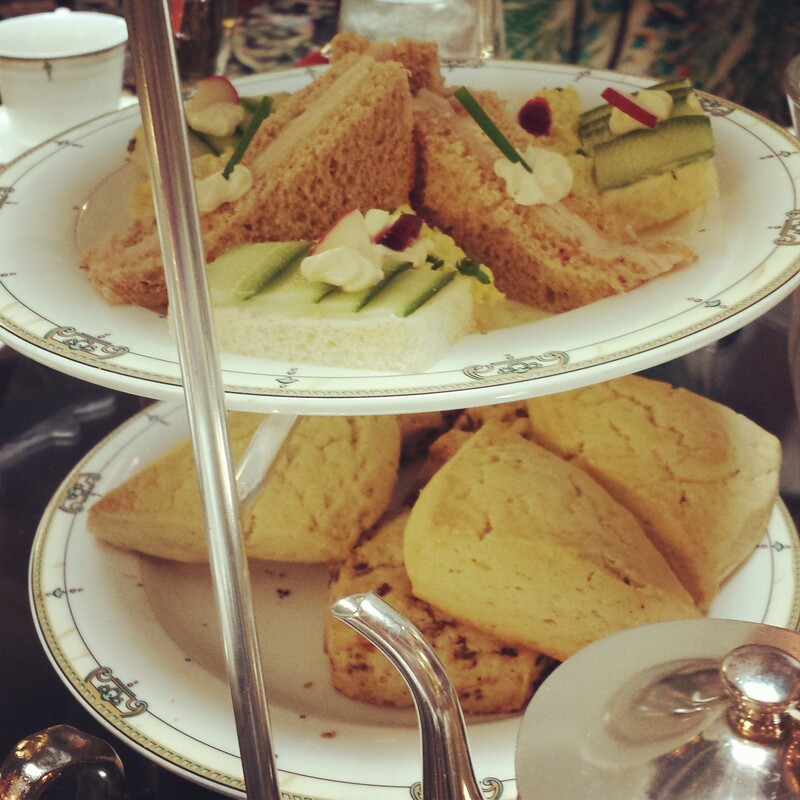 We had all the accompaniments, the cute little sandwiches with cucumber and sliced turkey as well as an egg salad sandwich. 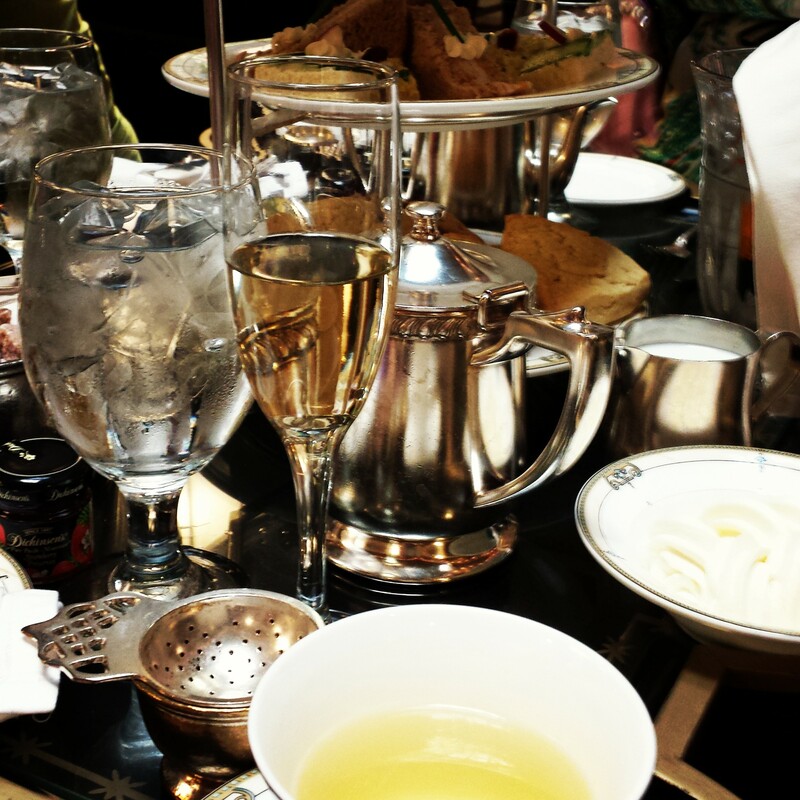 We enjoyed some to die for scones as well as desserts. 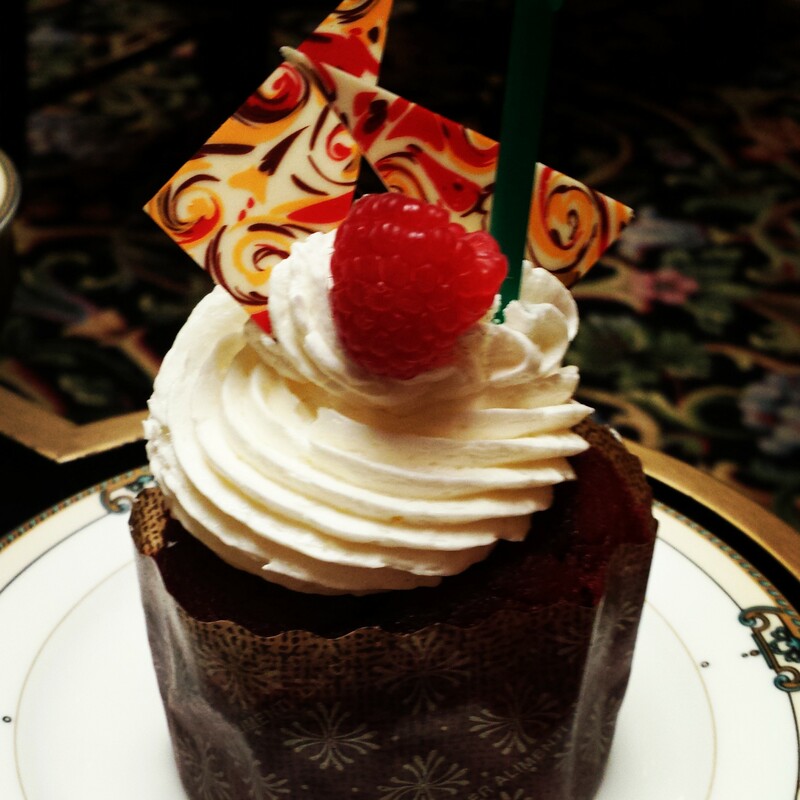 I think we all agreed that we will remember each decadent flavor for a long time to come. 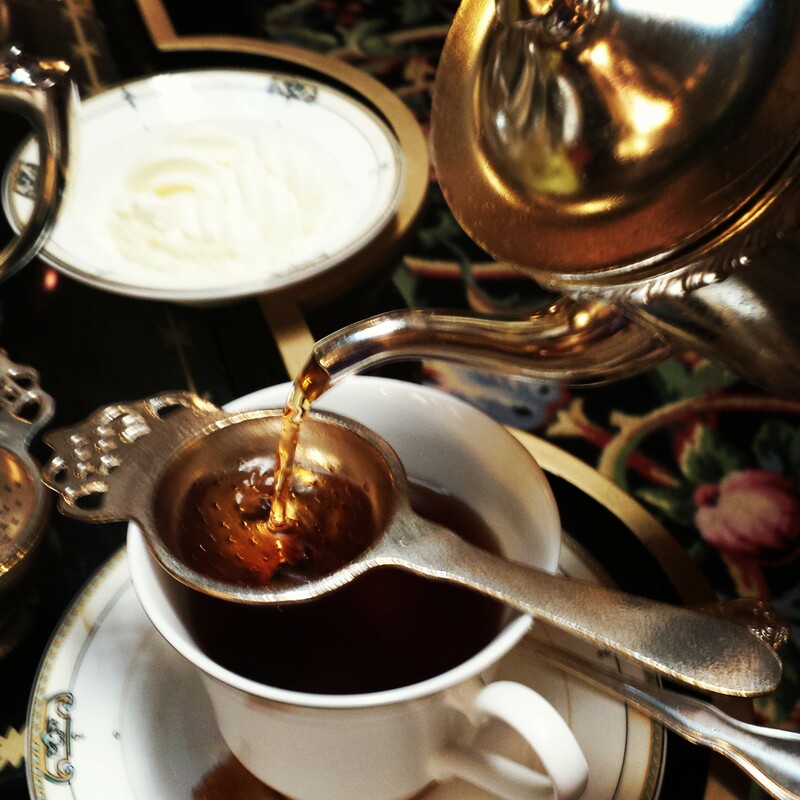 At one point my sister Janine looked over at us as she was leaning back in her chair and said “I could sit back and sip this tea all day.” It was true, we could have done just that. Cheers to my mom on her birthday and Thank you to my sister for setting up a great day for all of us. 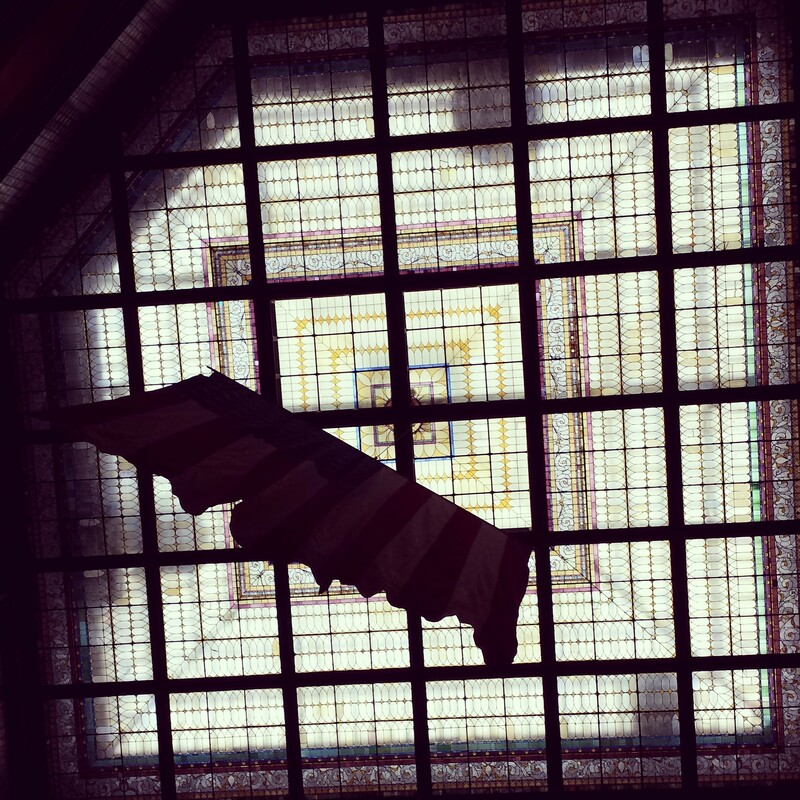 Cheers to looking up every now and again and not worrying about what might be going on right now, and just letting a little tea wash away the problems. My friends Vanessa, Kirsten and I went on a road trip to see our best friend Kristine (AKA-KPG!) in Alburquerque, New Mexico. quicker and get the party started. I found this recipe on Pinterest originally posted on the Ambitious Kitchen Blog. 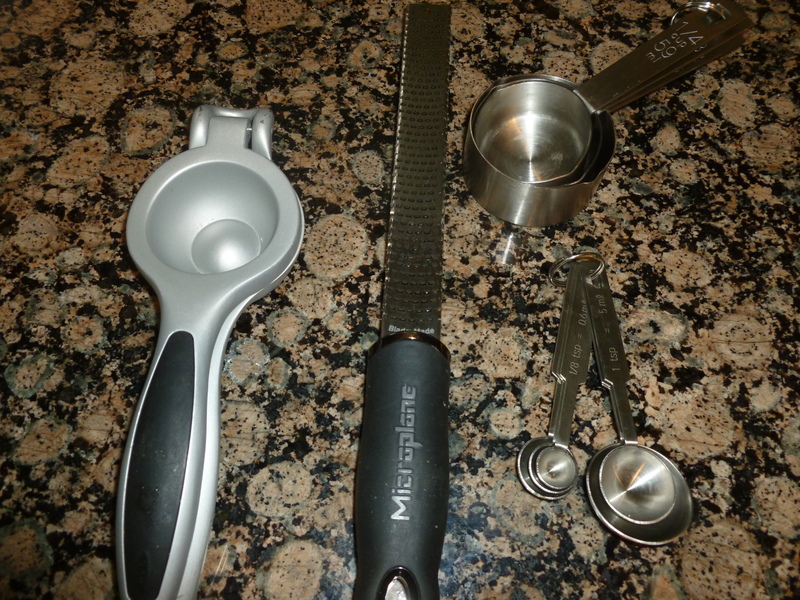 To cook quinoa: Rinse quinoa with cold water in mesh strainer. In a medium saucepan, bring 1 ½ cups of water to a boil. 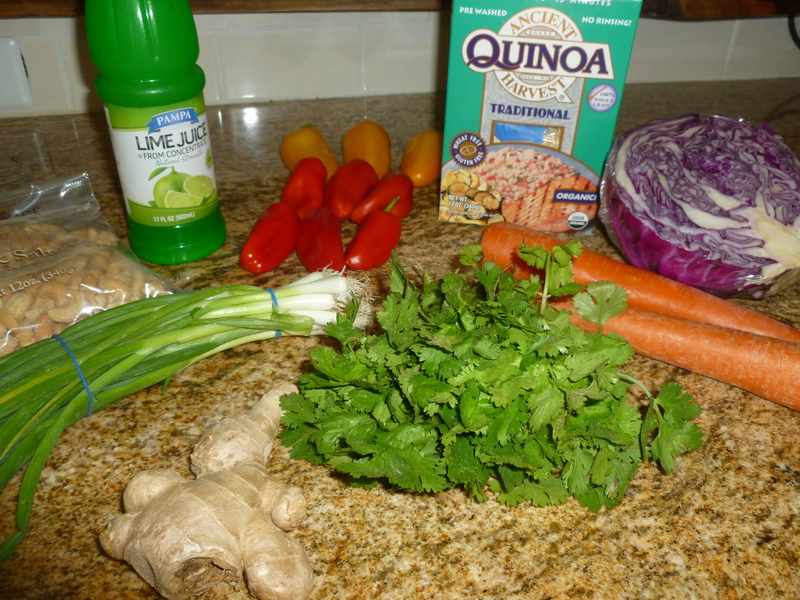 Add in quinoa and bring mixture to a boil. 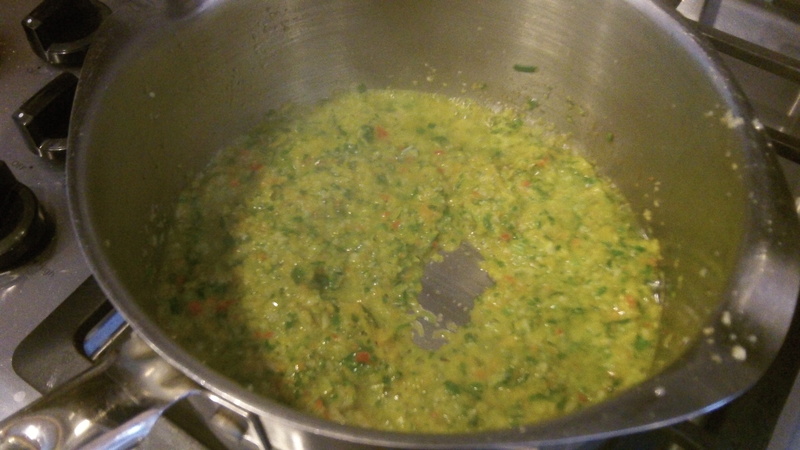 Cover, reduce heat to low and let simmer for 15 minutes or until quinoa has absorbed all of the water. 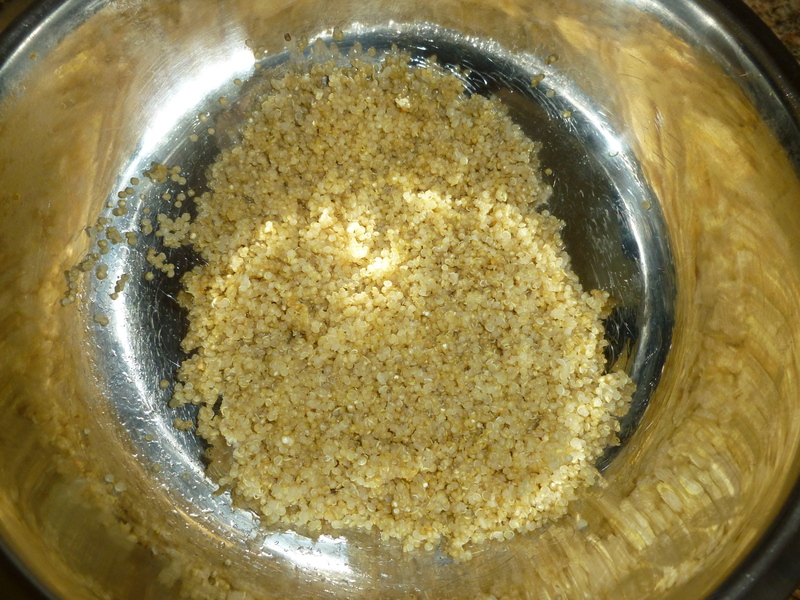 Remove from heat and fluff quinoa with fork; place in large bowl and set aside to cool for about 10 minutes. You should have a little over 2 cups of quinoa. 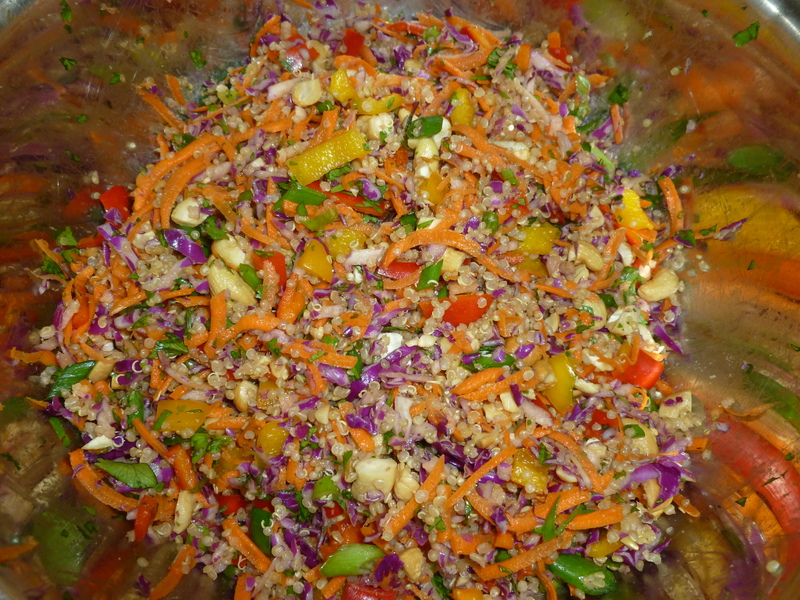 Add as much or as little dressing as you’d like to the quinoa. I always start out with a little bit of dressing and usually add more to suit my taste preferences. 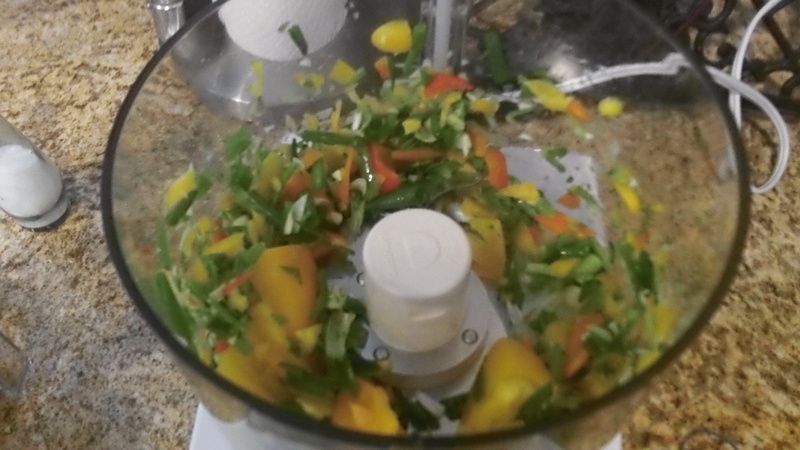 Alternatively you can save the dressing for later and add when you are ready to eat; however the flavors of the dressing usually soak into the salad so I love adding it to the quinoa first. 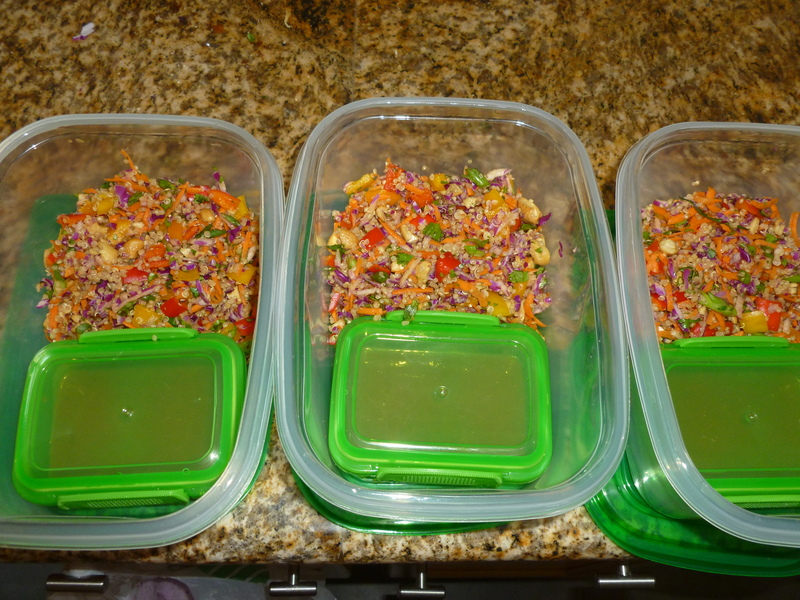 Next fold in red pepper, onion, cabbage, carrots, and cilantro into the quinoa. 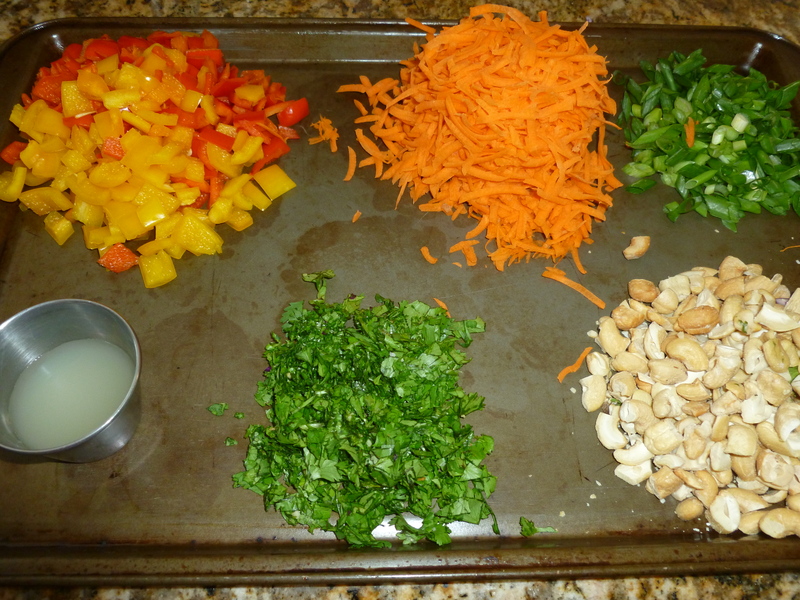 Garnish with cashews and green onions. Serve chilled or at room temperature with lime wedges if desired. 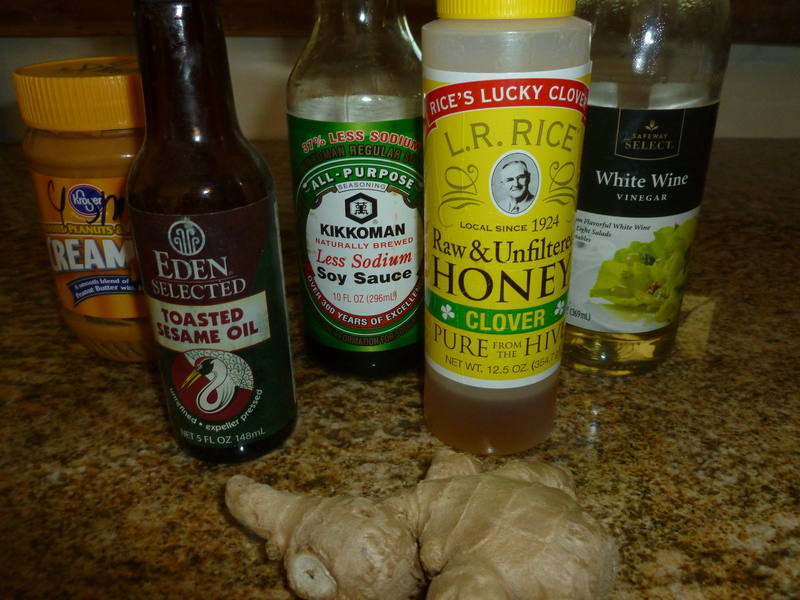 Use can really use any ingredients you have on hand at home. I saw that someone used radishes instead of red slaw! 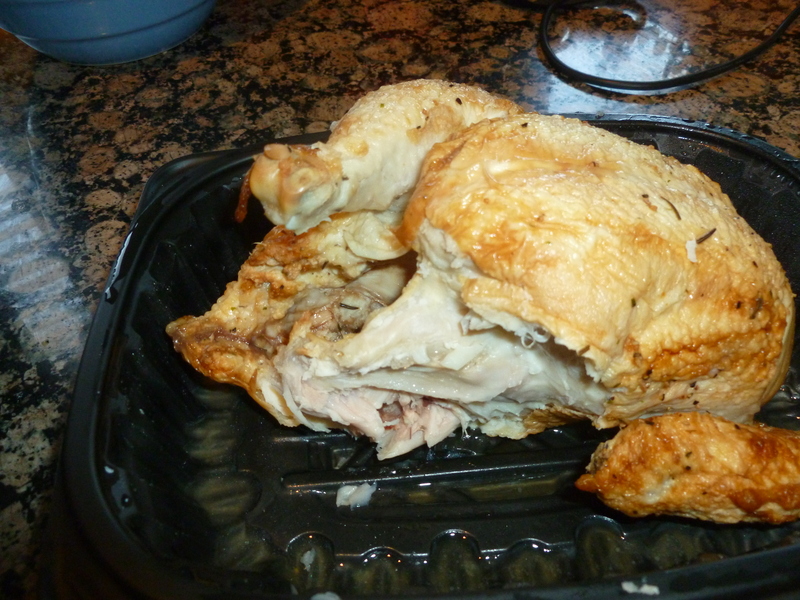 You can JAZZ it Up by adding some grilled chicken or even shredded chicken from a pre-cooked rotisserie from the grocery store. Our AC is broken…so we are trying to beat the heat in anyway possible. and I decided to give it a go! Also, you can follow me on Pinterest and see if you can guess what my next guest post will be. 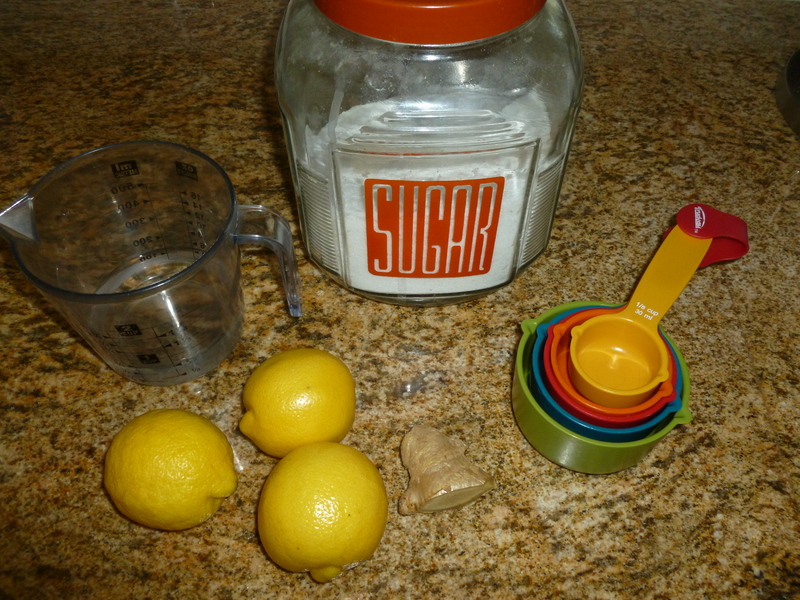 In a saucepan, combine sugar, water, and ginger. 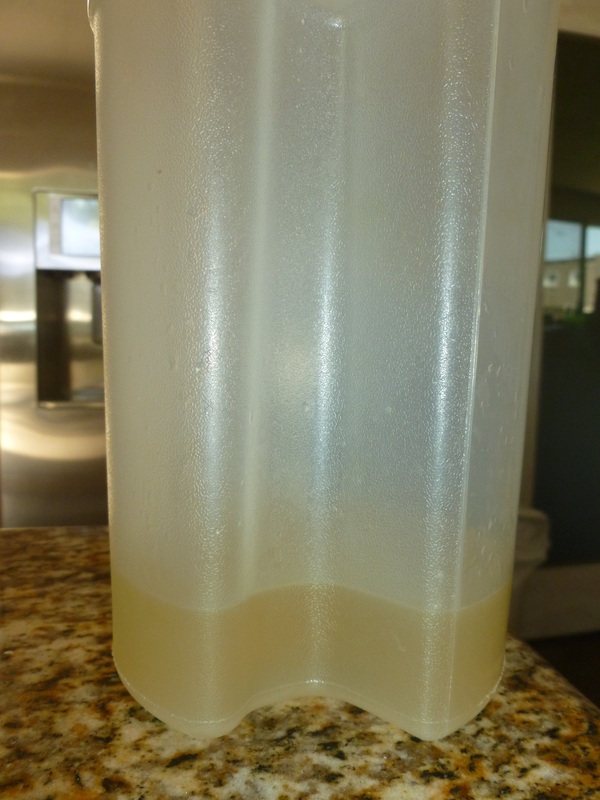 Bring to a boil over medium heat, stirring occasionally until the sugar dissolves. 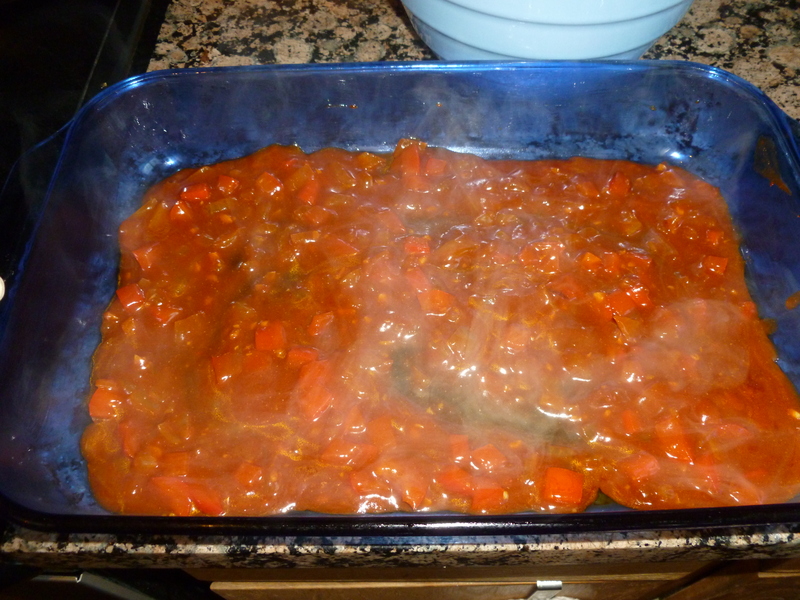 Remove from heat and let the mixture cool to room temperature. 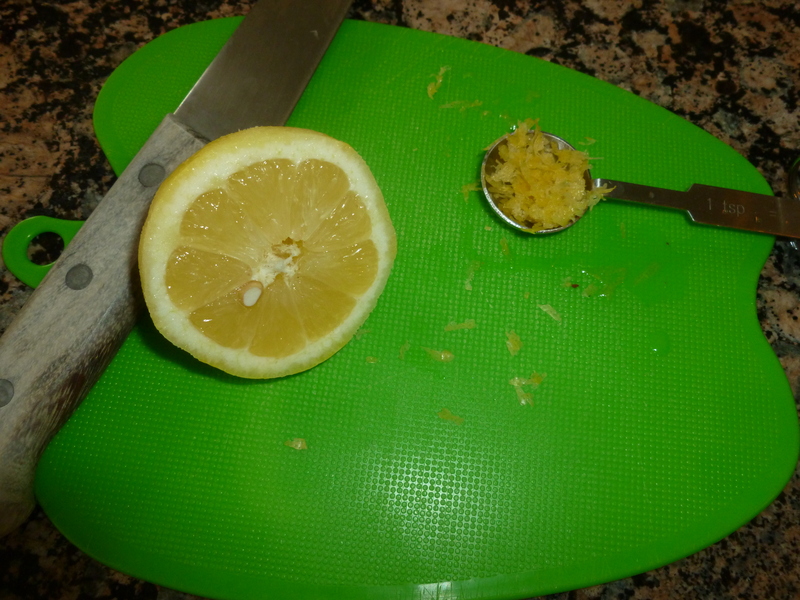 Stir in lemon juice. 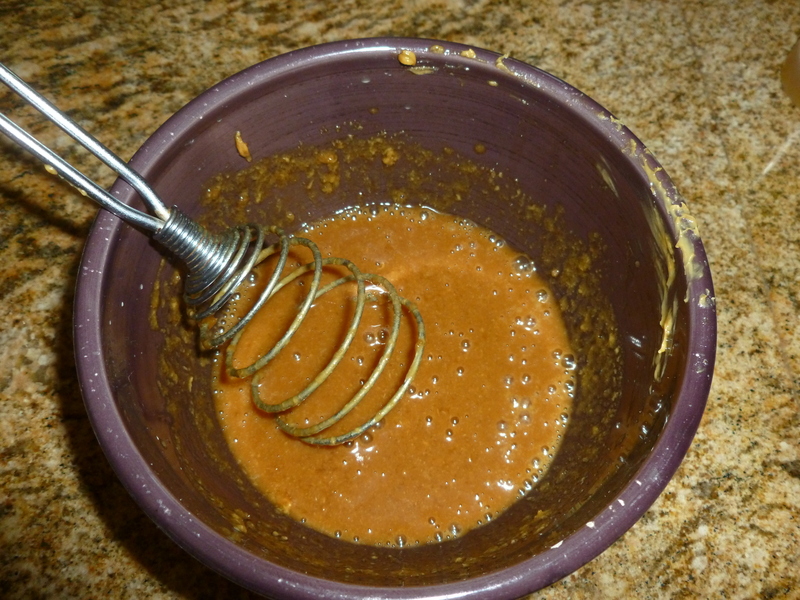 Pour the mixture through a sieve and store in a clean jar with a tight lid. Store in the fridge for up to one month. 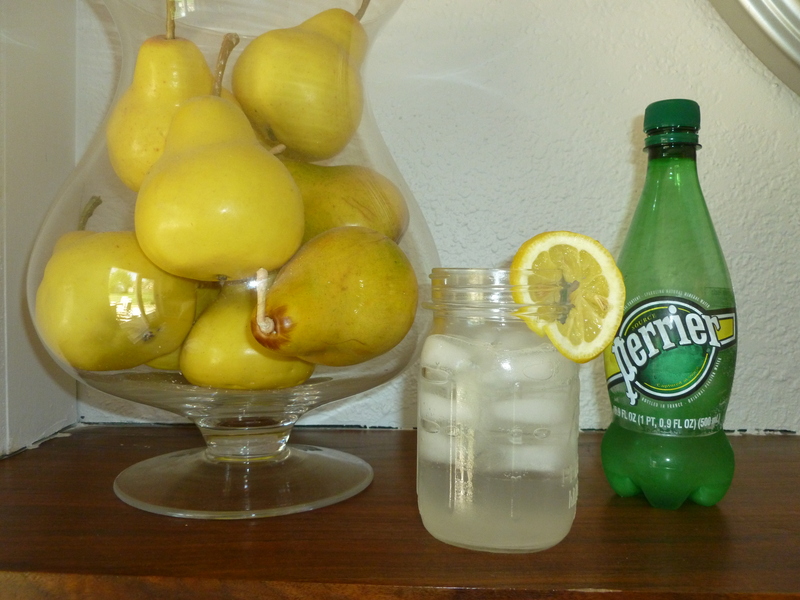 To serve, mix syrup (depends on how tart/strong you like your lemonade) with ice cubes and sparkling water. 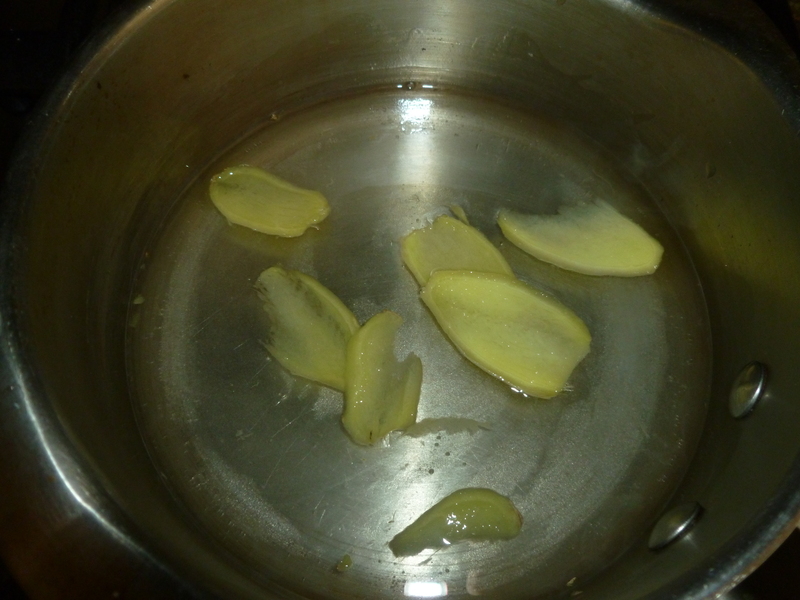 Use fresh ginger and fresh lemon juice. It will really make a difference. 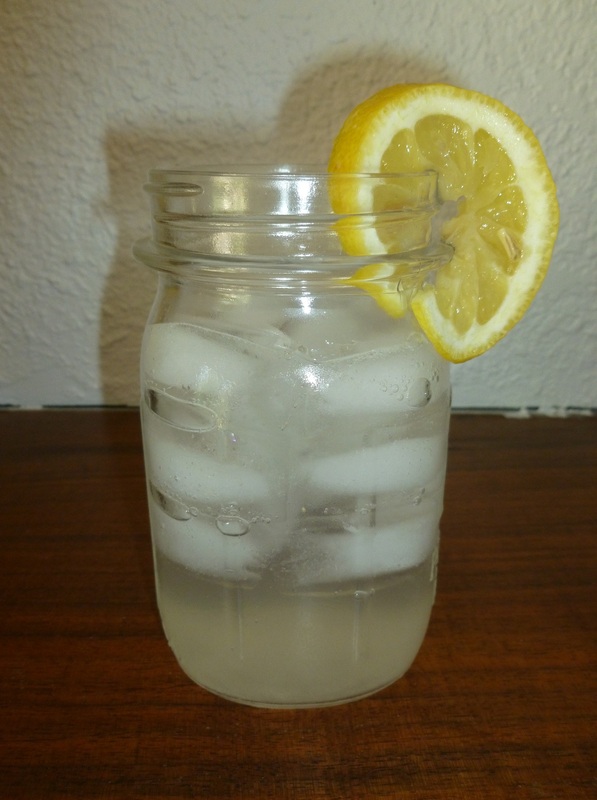 Jazz it up by adding a splash or more of vodka!